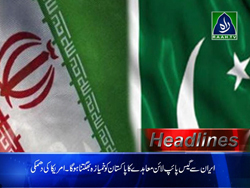 America threatened Pakistan on Pak-Iran Gas Pipeline. Pakistan’s nuclear program is safe – Nawaz Sharif. earthquake victims facing difficulties in Awaran, Balochistan.